Although Caroline Martens adores being a professional golfer, her career hasn’t always left others feeling green with envy. The Ladies European Tour pro has had some darks days, dislocating both shoulders three years ago while she was left struggling to walk after being diagnosed with an illness she refused to reveal the full extent of. She bounced back strongly to win the LET Qualifying School and is nally getting back into the swing of things. 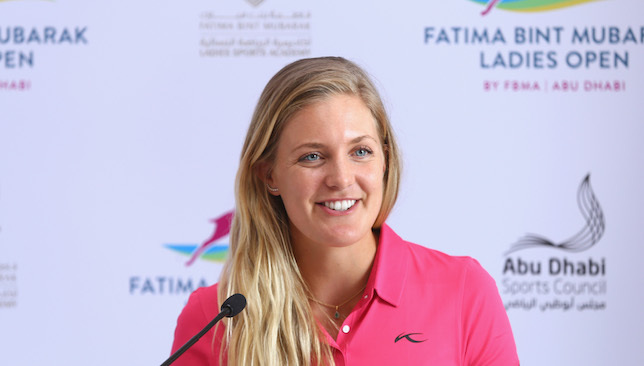 Martens was in Abu Dhabi earlier this year to promote the Fatima Bint Mubarak Ladies Open, a new edition to the LET which comes to Saadiyat Beach Golf Club in November, and spoke to Sport360. Why is coming to Abu Dhabi so significant for your tour? We’ve been waiting a long time to come to Abu Dhabi and now to have that opportunity is really exciting for the tour. We’re a global tour and being able to expand it to new regions and countries is good for our brand. Also, being able to inspire youngsters and get more kids involved is important for us and the future of the sport and the future of children here in the UAE. I think it’s important we get to show people what we do and why we love this sport. The opportunities out here now, to be able to play this event in Abu Dhabi, is incredible, and I’m really looking forward to showcasing what the tour is about. Have you ever played at Saadiyat Beach Golf Club before? I have on a few occasions and I love coming to play here. I was here earlier in the year for the Gary Player Invitational which was amazing. I’ve also been here with the Norwegian national team for training camps. Abu Dhabi is a fantastic place to come and practice in the winter time and off months. The facilities they have to offer and the climate makes this region incredible for sports. It’s one of the most beautiful courses I’ve played. Having played the course before, will that give you an advantage in November? November, it depends what shape my game is in. If I’m playing as good as I hope I will be in November and with the knowledge I have on the course, hopefully the outcome will be very good. Golf is back at the Olympic Games. Is it a priority for LET professionals? The Olympics is fantastic and the fact we’ll see golf back there after 112 years is incredible and does give us a sense of pride. It’s very important for a lot of girls on the European Tour, every athlete dreams of competing in the Olympics, and I know a lot of girls are working really hard to qualify. It’s difficult as it’s only two players per country. It’s huge for the tour too. How focused have you been on the Olympics? It’s difficult to just focus on it. The Olympics is the pinnacle for every athlete, to compete and especially taking medals, but golf hasn’t been in the Olympics for 112 years so it’s different for us. It’s one event so not making it onto the team is not the end of my career, I will continue to focus and work hard and focus on the rest of the year to achieve my goals. To make the team would have been a fantastic bonus and I would have loved every second of it but it’s one tournament and in terms of my long term plan, I want to be captain at the next Olympics. Is being captain in 2020 a more realistic aim? Yeah. Suzann Pettersen is No. 1 in Norway so is the No. 1 person on the team. I want to be in her position at the next Olympics. I want to be the No. 1 player in Norway, which everyone aspires to. I want people to say “Caroline’s on the team, we have a chance of winning a medal”. That would be a dream come true. You’ve had some really unfortunate injury and illness issues in the past. Do you draw on them for inspiration? Having to have gone through what I have, with the illnesses and injuries, you become strong, mentally more so than anything. I am very resilient and I bounce back quickly. I have a hard time giving up so I think that’s obviously a benefit. I refuse to sit down and not be successful, so it’s a benefit, definitely. Some people say ‘you dislocated your shoulder, you’ve been sick, doesn’t that put you in a lesser position?’. But you can’t change things. I’ve been unfortunate to have those things happen to me, but I’ve used the things that have come out of it to my benefit and I choose to look at it as a positive. It would be very difficult to do what I’m doing if I was to think negatively about the things that happen around me. Your mother Ingrid is a former Miss World and has often been your caddie. How important a part does she play in your career? She doesn’t caddy for me much anymore. She would but she’s got a full-time job. She comes with me when she can and we speak every day, if not two times a day. She is my closest and best inspiration even though she’s not out there with me. She’s my rock. Who were your sporting idols as a kid? My dad was a soccer player, my mum was a windsurfer, I snowboarded, so there was always something to do with sport. I was inspired by athletes who were hard-working and successful. Anyone from David Beckham to Tiger Woods to Ernie Els. Golfers and non-golfers were inspiring because I did nearly every sport. When it comes to golf I’ve always had great respect for Tiger Woods in terms of his hard work. Annika Sorenstam as well, what an inspiration to women and the golfing world. Winning the Ladies European Tour Q School in 2013, that was huge. Winning is huge but it was after my disastrous year. I was very sick, dislocated my shoulders. My life disintegrated but I came back and I worked so hard, so to come back and win, it’s hard to top that because of the story. 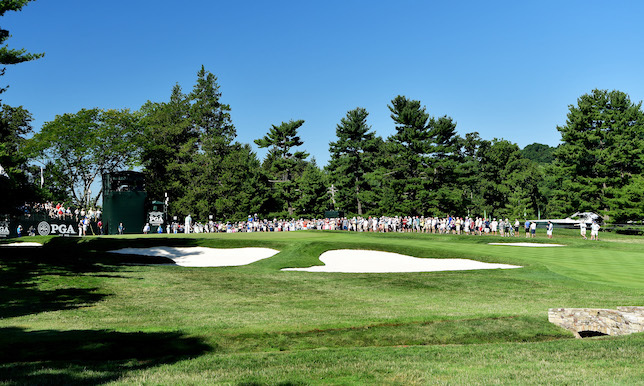 The major championships rarely fail to deliver quality golf and drama. But what happened on Sunday at Royal Troon as the 145th Open Championship was beyond compare. It really was golf at its finest – two of the finest exponents of the game playing at their best. What Henrik Stenson and Phil Mickelson produced was golf’s version of the 2008 Wimbledon final between Roger Federer and Rafael Nadal. It was simply unforgettable. The two men started the final round well ahead of the field – Stenson was 12-under par, Mickelson 11-under and Bill Haas third at six-under. 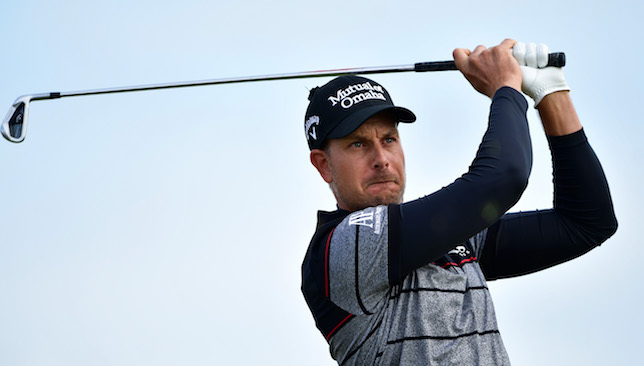 When they finished, Stenson was at 20-under par after breaking all kinds of records with a final-round eight-under par 63, Mickelson was 17-under par and third- placed JB Holmes was a whopping 11 shots adrift of the runner-up. We would have really loved to give him a 12 – one extra mark for the awesome final round, which included four birdies over the last five holes at a time when the pressure of a major championship is most intense, and one extra mark for his amazing tribute to the late Mike Gerbich, his friend in Dubai for many years. Before the tournament, the 40-year-old Swede spoke about how he has limited time to become the first major champion from his country. Five days later, he obliterated almost every possible scoring record to ensure he moves out of the dubious list of ‘best golfers never to win majors’. It was a typical Stenson effort – solid off the tee, absolutely amazing with his iron shots, and then immaculate on the greens. After being winless since the 2014 DP World Tour Champion- ship, Stenson has now got two titles in last three starts. We all know how he can go on sustained run of form (remember 2013 when he was on fire on both sides of the Atlantic?). Signs are ominous for next week’s PGA Championship, and he is surely the early favourite. Let’s just say in 99 per cent of cases when you shoot 17-under par in a major championship, you end up winning the tournament by a handful of shots. Not at Royal Troon though. The American did everything right but was finally denied by the brilliance of Stenson in the end. We gave Mickelson 10 because you cannot find any fault in his play over the four days. He made very few mistakes despite the sometimes brutal conditions (only four bogeys as against 20 birdies and an eagle), he also was the epitome of sportsmanship spirit. He started with real intent on each day, but Royal Troon got to the world No. 1 Aussie from the Postage Stamp hole onwards. For the first three days, Day made just one birdie on the last 11 holes. In all, he was eight-under par for the first seven holes for all four days, and nine-over for the rest of the golf course. Tied 22nd finish once again showed that he is not yet comfortable on links courses. Another superstar who got caught at the wrong end of the draw, but the world No. 4 did extremely well to battle to a two-under par score at the halfway mark. He was undone by a 73 on day three, when he did hit the ball superbly off the tee, but struggled on an around the green. Despite all his troubles, he closed with a 67 and finished tied fifth at four-under par. Round of the day so far? The two-time major champion was lucky to make the cut on the number (four-over par), and his only saving grace the whole week was the closing round of 68. Just like Day, he too struggled from the eighth hole of Royal Troon onwards. Except for the last round, in which he made birdies on the 10th and 11th, Spieth was nine-over for the last 11 holes in the four rounds. The American’s biggest strength is his putting, but that deserted him at least on the first three days. With momentum on his side following wins in his last two starts, and the fact that the reigning US Open champion’s power-hitting game was ideally suited for Royal Troon, a tied-ninth finish was the absolute worst Johnson could have finished with. The confident American could have done better, but for a stretch of triple bogey-par-bogey from the tough 11th hole onwards on day three. Always one of my favorite weeks of the year, thanks to the fans and the R&A for another great week @TheOpen. See you all at Royal Birkdale!! The American world No. 6 has never felt comfortable on links courses, but that looked like changing when he opened the tournament with five birdies in his first six holes. However, it was the same old story once he double-bogeyed the par-three eighth, and eventually wound up tied 39th at four-over par. The defending champion enjoyed a good campaign despite being one of the big names to get the bad half of the draw. A third-round 75, with two double bogeys, hurt his chances as he finished tied 12th at one-under par. ‘Beef ’ was the undoubted superstar of the tournament, playing well despite it being only his second major, and regaling the fans with his interaction with them. Quote of the day from Andrew 'Beef" Johnston: "I had pizza for dinner. A 10-inch, not a 20-inch win-a-tee-shirt-if-you-finish-it type thing"
The magic wore off on the final day in which he was four-over for the last 14 holes, but an eighth place finish was an excellent result for the happy-go-lucky Londoner. The Spaniard continued his good run of form with a tied fifth place at four-under par, but he will view this as another lost opportunity to win his first major title. Was hitting the ball superbly all week. A lot was expected from the South African and he seemed to be heading the right direction with a hole-in- one on the opening day. But a quintuple bogey on the 11th hole on Friday completely derailed him.